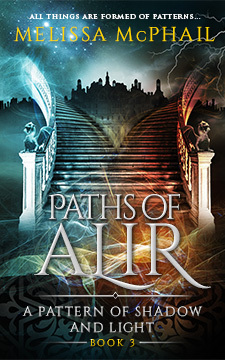 Melissa has made the ebook versions of A Pattern of Shadow & Light exclusive to Amazon. 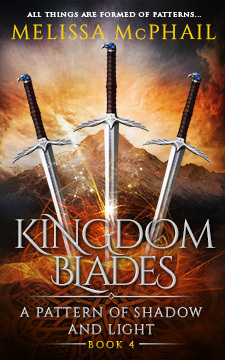 If you started the series on Kobo, iTunes, B&N or another format, please email the author for steps on how to get the ebooks in your preferred format. At long last, the reason for the blessed Adept race’s decline has been discovered: powerful beings known as Malorin’athgul are unworking the realm from within, disrupting the Balance and preventing Alorin’s Adepts from awakening to their gifts. Who are they? Where are they? And how can they be stopped when they wield a power meant to unwork the cosmos itself? Prince Ean val Lorian has forsaken his companions in blood and battle to join the traitorous Fifth Vestal in T’khendar in the hopes of gaining some understanding, some insight, into the tragedies that plagued his return. Now he must confront the man he thought was his enemy and discover the role he is meant to play in the First Lord’s darkly magnificent game. The Vestal Raine D’Lacourte has followed his traitorous oath-brother Björn through six kingdoms and into the distant realm of T’khendar seeking explanation and atonement. But the condemned realm harbors shocking secrets, and Raine soon realizes he’s facing his greatest enemy yet—not in Björn, but in the truth. The soldier Trell struggles to reconcile his growing feelings for the girl he rescued from the river with the guilt of his unknown past. The young truthreader, Tanis, faces a new villain in the fiery-eyed man he followed from the café in Rethynnea, and in Tambarré, another truthreader named Kjieran van Stone treads the incense-filled hallways of the Prophet Bethamin’s temple in a race against time, hoping to uncover a plot of treachery and betrayal before the Prophet’s lust claims his soul. 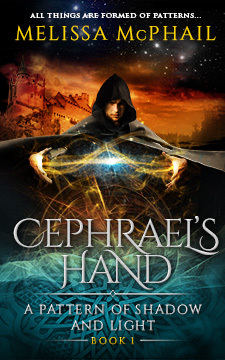 From the Wyndlass desert of T’khendar to the icebound mountains of Doane, Raine, Ean, Trell, Tanis and Kjieran must each continue on their chosen paths, becoming Players in the First Lord’s century-spanning game. 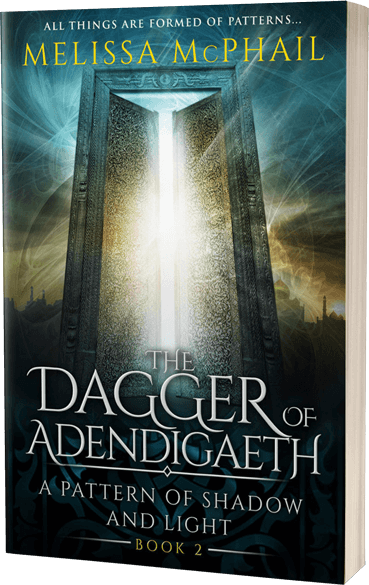 Each will learn the role they are meant to play, all will be tested, but only time will tell how many of them can survive the dagger of Adendigaeth. Want all the latest? I promise not to spam you. My newsletter is for occasional updates, sneak peeks and bonus content for fans only.